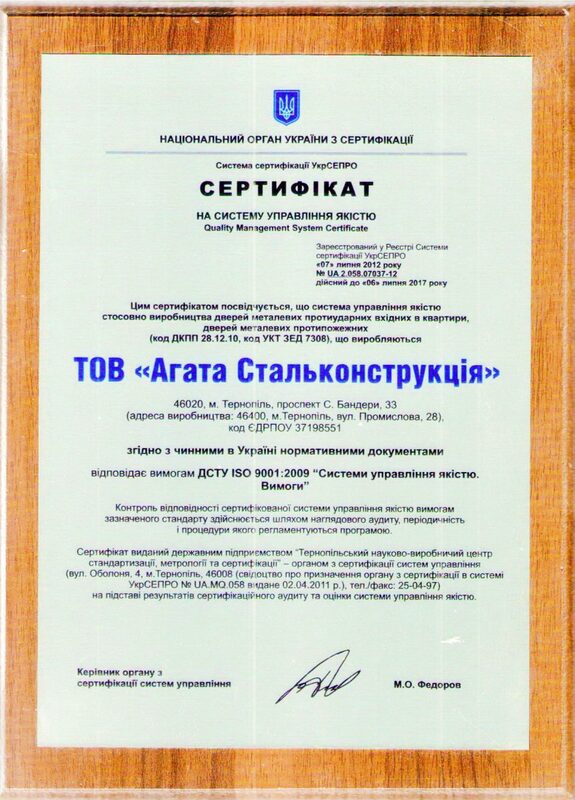 Once again, our company has received a certificate that confirms not only the quality of products, but also involves the introduction of a quality management system that acts as a precautionary mechanism and ensures the reliability of products at all stages of its production cycle , also promotes productivity of the enterprise. The ISO 9001 certificate is part of a series of ISO 9000 standards developed by the Technical Committee of TC 176 of the International Organization for Standardization (ISO), an institution that approves the requirements for a quality management system of the enterprise. Therefore, this document is confirm the trust that our enterprise gained in the development of business not only in Ukraine but also outside the state, which makes it possible to involve foreign partners as well, as the standards of the ISO 9001 series, adopted in more than 190 countries of the world as generally recognized and found in many enterprises, regardless of their form of ownership, size and scope. This document is an external, independent confirmation of the achievement of the requirements of the standard. The advantages of the certificate are the step-by-step control of the production process, as well as the training of personnel, in order to comply with all technologies of manufacturing products. ISO 9001 is a guarantee of quality and environmentally friendly products, as it provides clear requirements for the safety of all components. The materials by which we manufacture the product have all the sanitary findings and quality certificates, which ensures the reliability of our products. The ISO 9001 Quality Management System Certificate has enabled our company to enter a new level of development, has become a guarantee of stable quality of products, and has provided a high level of assurance to consumers and partners.